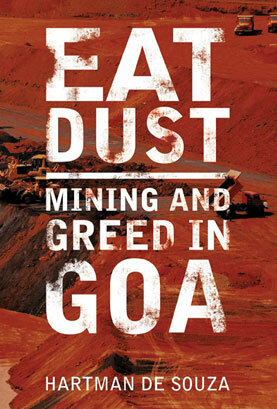 Hartman De Souza's Eat Dust: Mining and Greed in Goa is a dystopian account of the reckless destruction of Goa’s natural wealth at the hands of its rich and powerful. He pours eyewitness accounts and physical evidence of the effects of mining—collected from southern Goa over a period of six years. The book is peppered with anecdotes from Goa’s social and cultural history, introducing the reader to the soul of the state and revealing the ugly side of India’s most happening holiday destination. The book germinated in de Souza’s mind when the ravages of mining hit close home—in Maina village at the foothills of the Western Ghats. He describes the horror of seeing densely-forested hills being flattened and the ground hollowed out so that mining could begin. The book cries out for the several natural springs that originated in these hills and plateaus. Once inextricably linked with deities of indigenous communities, these springs and aquifers were destroyed by the mining machinery of companies. The result: resident wildlife disappeared, water in rivers and ponds began to dry out, mining waste destroyed farms, and large tracts of Goa’s Western Ghats turned into a dusty and barren landscape. Eat Dust is also a scathing commentary on the ravenous greed of mining barons, the willful silence of the state government and the apathy of the Goan people—all held equally responsible for the sad state of affairs in this dying paradise by the sea. De Souza documents the rise of Goa’s mining families, such as the Alemaos, the Timblos, the Tarcars, and he attempts to decode their murky nexus with politicians and bureaucrats from the state and at the Centre. He describes how these families prepared the ground for mining operations, even before getting environment clearances. They mined at breakneck speed and carried the ore in several hundred trucks every day during the mining season. Dubious ownership and leasing deals, bogus public hearings, “manufactured” Environmental Impact Assessment reports, and rapid setting up of Corporate Social Responsibility programmes just before inspection visits by the Justice M B Shah Commission are some of the violations that figure in the book. In all this, de Souza alleges not apathy, but active collusion of Goa’s governments. He points out how former chief minister Digambar Kamat bent rules to allow mining to continue despite environmental clearances that had expired years earlier. Sacrificed at the altar of mining are the interests of Goans themselves—people who sold their land to mining companies or invested in mining trucks for a quick buck. Eat Dust couldn’t have come at a worse (or better) time. After a short reprieve, the mining ban in Goa was lifted in 2014 in accordance with a Supreme Court order. And de Souza knows this is one story that will not have a happy ending. As the mining contractors took away the hill, widening the wound and extending operations by creating a machine- made terrace to get at the ore, they sprang an aquifer free—guiding it away from the pit and into the agricultural land in the valley below. Setting this particular long-dormant aquifer free was like watching a frightened leopard being chased into an open ground by poachers. First, it became a waterfall wide enough to wash over four mining trucks abreast, a veritable sight for tourists, with an explosive gush that lasted well over four days. However, with time, the water petered down to a trickle that—after three days in the hot sun—left only stains on the mud. We were so disturbed that we did not even think of photographing it. How does your book add to the existing knowledge of mining in Goa? Apart from Down To Earth, there is not enough reporting on the illegal mining in Goa by the national press. This only happened after the Shah Commission's reports were made public. I don't know if Goans have any knowledge of what illegal mining has done to their environment. I also wanted to draw linkages between the mining mafia and the political and cultural history of Goa, and place it in the larger national discussion on development and growth. Why are you dissatisfied with those who spoke against mining? It's a growing trend: more and more groups working in the larger rubric of civil society are doing more and more to water down people's agitations, and keeping matters locked up in court. These are groups that work on the behalf of people and not with the people. They're not part of the struggle on the ground, they're "facilitators". I am not a big admirer of ecologist Madhav Gadgil when it comes to what he actually did on the ground. It is only now after he has retired from official duty, that he has opened his mouth. And even here, his postulates are still trapped in the old paradigms of industrialisation and growth. 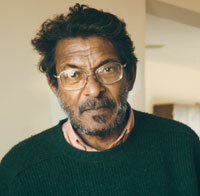 Like environmentalist Claude Alvares, I think he's a terrible role model for young people. 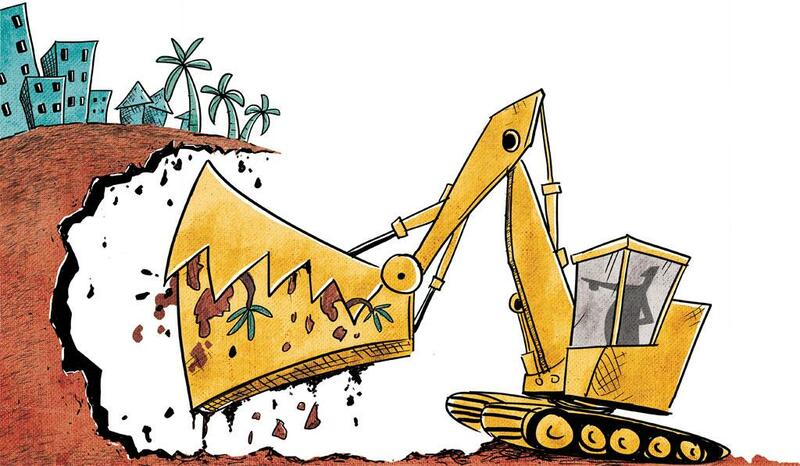 You have a firsthand account of how mining has ravaged the environment in Goa. Can there be sustainable mining? I have seen what open-cast mining has done in Jharkhand, Chhattisgarh, Bellary, Konkan in Maharashtra and Goa, and I say quite unequivocally that mining can never be sustainable, not with the ferocity with which mineral resources are needed. The need to mine cannot be divorced from the greed to mine and the attendant profits. It is not the adivasi populations that need the mineral resources, but those who want to be millionaires. The forests and water and our indigenous peoples are far more important, far more valuable. We must keep these "in custody" for those Indians yet to be born. There should be no debate on this. We cannot allow nature to be destroyed. Future generations will not forgive us for what we so easily forgave.